"Mode For Joe" is the influential saxophonist’s 1966 gem. It was his final Blue Note studio recording as a bandleader. 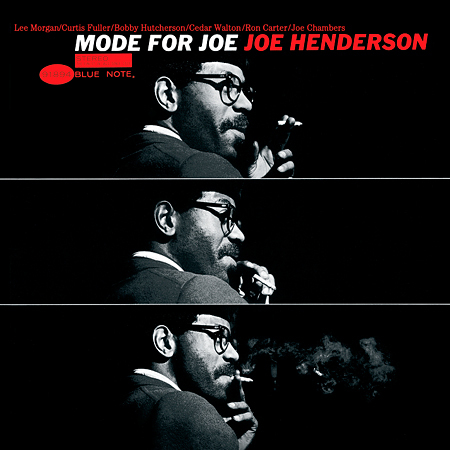 Henderson is joined by trumpeter Lee Morgan, trombonist Curtis Fuller, vibraphonist Bobby Hutcherson, pianist Cedar Walton, double bassist Ron Carter and drummer Joe Chambers. The challenging repertoire showcases the unmatched talents of the ensemble. It features the standouts “Mode For Joe” and “Caribbean Fire Dance”. Tenor saxophonist Joe Henderson's fifth and final early Blue Note album is his only one with a group larger than a quintet. Henderson welcomes quite an all-star band (trumpeter Lee Morgan, trombonist Curtis Fuller, vibraphonist Bobby Hutcherson, pianist Cedar Walton, bassist Ron Carter and drummer Joe Chambers) and together they perform originals by Henderson (including "A Shade of Jade"), Walton and Morgan ("Free Wheelin'"). The advanced music has plenty of exciting moments and all of the young talents play up to the level one could hope for. Recorded on January 27, 1966 at Van Gelder Studio, Englewood Cliffs, NJ.